The three accused tied one employee's hands and gagged his mouth with tape while the other was held at gunpoint, police said. 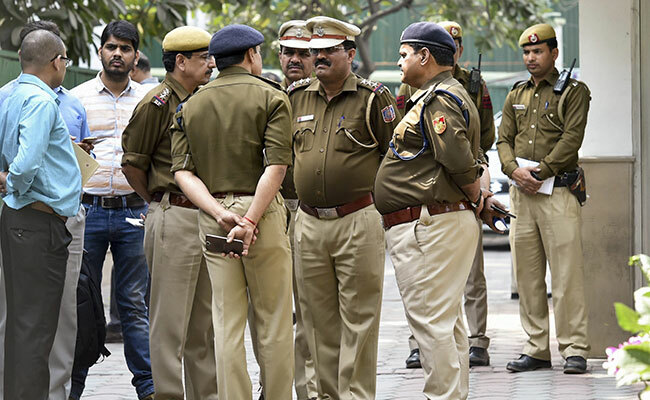 New Delhi: A group of armed men entered a stationary shop in Delhi and robbed its employees of Rs 18 lakh on Tuesday, police said. The men gagged one employee and held the other at gunpoint and escaped with the cash and some other valuables, the police said. The two employees of the stationary store in the Old Lajpat Rai Market in Chandni Chowk were waiting with the Rs 18 lakh on instructions from the owner of the shop when a man allegedly entered with a bag in hand. While the employees were questioning the man, two more men came in, again with bags in hand, and shut the gate, according to the police. They then took out pistols from their bags and threatened the employees to keep quiet, a police officer said. Apart from the Rs 18 lakh, the accused also stole a bag containing a passbook, cheque book and a purse, before escaping from the store, the officer told news agency Press Trust of India. The accused were caught when the police found a mobile phone while combing their escape route. The SIM card was registered under a fake name, but after questioning several SIM card sellers in the locality, the police managed to identify Mohsin Alam as the original owner. Police arrested Mohsin Alam and also recovered Rs 4 lakh, a country-made pistol and the cheque book of the complainant from him, along with a diary and a mobile phone. Upon interrogation, he gave up the names of his accomplices who were also nabbed from various hideouts in Delhi and Ghaziabad. Police arrested Sarfraj Alam from Maujpur and recovered Rs 3 lakh from him. Amaan was caught in Loni, Ghaziabad and recovered Rs 3 lakh from his as well and a motorcycle used for the crime. Another man named Kasim was arrested from Loni with a loaded country-made pistol and Rs 3 lakh. A third man from Loni, Sachin, was arrested with another pistol and Rs 86,500.